This coming weekend we'll be back in Wales in the lovely historic town of Caernarfon. 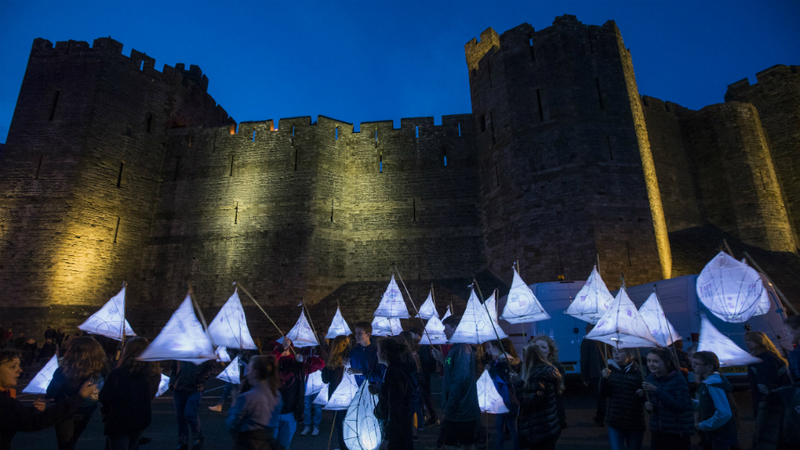 With autumn on its way and darker evenings upon us we'll be bringing a touch of fire, light and musical procession to Caernarfon and its historic castle in an exciting collaboration with Cadw, Galeri Caernarfon and Gwynedd Council. Saturday, October 1 - Great news, Cadw has announced that there is an extra release of tickets for the Fire Garden in the Castle for this evening. One of the many ways in which we like to work with heritage partners is to help them and their visitors rediscover the familiar in unexpected ways. 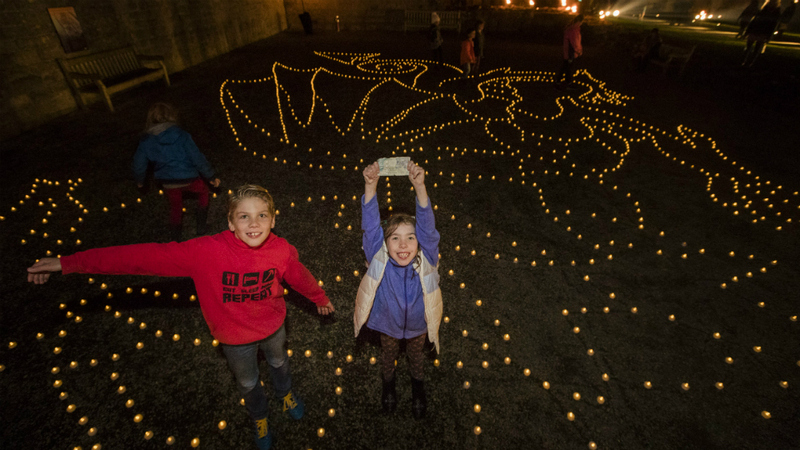 Caernarfon Castle, a much loved feature of this town, has been around for nearly 700 years so we're really excited at the opportunity to animate both the castle and the town during its Caernarfon Alight event as part of the wider Caernarfon Year of Adventure. 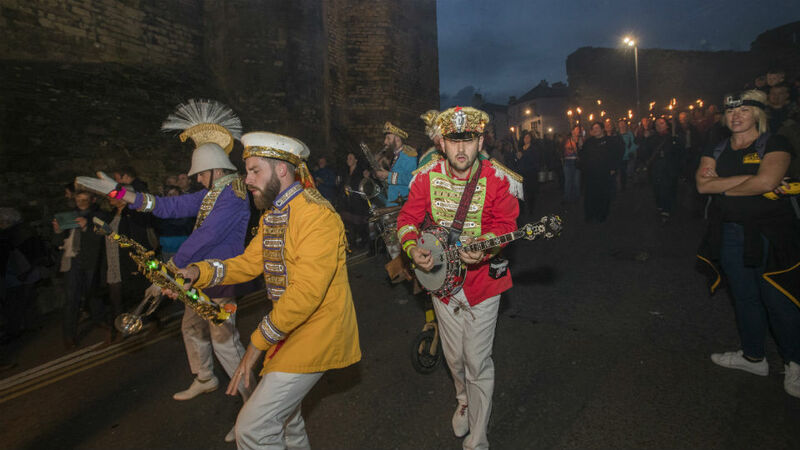 Yesterday, Friday September 30 we brought the streets of Caernarfon alive with the vibrant, feelgood sounds of Mr Wilson's Second Liners who led a torchlit procession through the town, ending with a fiery show with live music and performance at Slate Quay. As usual, Mr Wilson's exuberant take on New Orleans carnival brass band music - with an audacious reworking of 90s clubland classics - brought the streets of Caernarfon alive as we made our way through the streets. A case of the very old meeting with the very new. On both Friday and Saturday evenings, we'll be transforming parts of the castle grounds into one of our magical fire gardens which have been installed in locations across the UK - from arts venues and heritage settings to public parks. The Friday evening slots for Fire Garden ticket holders are 8pm and 9pm. On Saturday evening, the time slots are 7pm, 8pm and 9pm. Latest update, October 1. 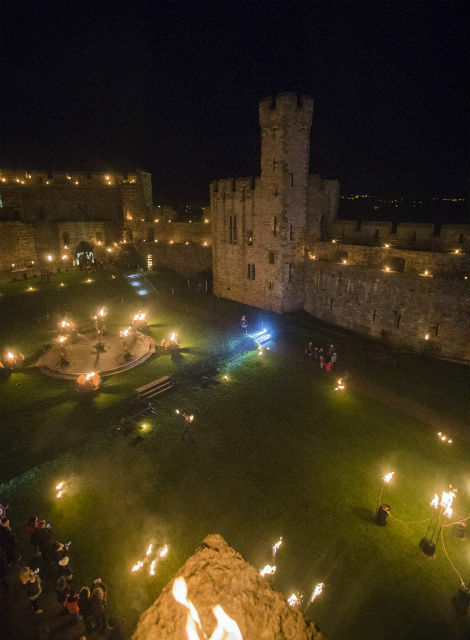 Due to popular demand, Cadw has released another series of tickets for this evening's Fire Garden at Caernarfon Castle, Saturday October 1. Hurry, as there is only a limited number available. "We are very excited to be working with Walk the Plank on this project. 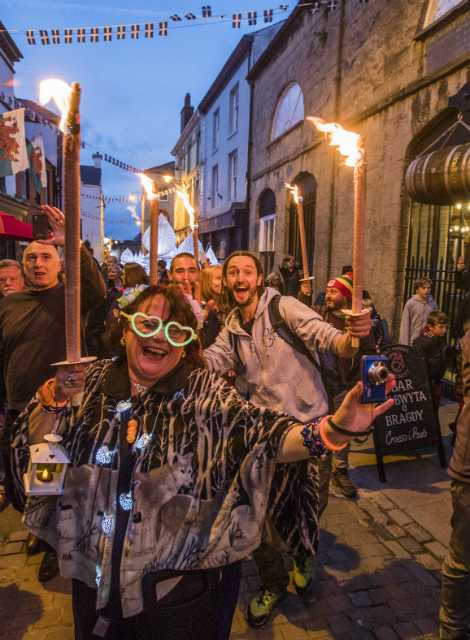 We are working with the local community, local art centres and with local artists to create, what I hope will be a chance to celebrate the stories of Caernarfon in an immersive parade and fire show which ends up inside the castle. People will not have seen Caernarfon Castle look anything like this!" Dr Ffion Reynolds, Cadw's Arts & Heritage Manager. Walk the Plank is a National Portfolio Organisation of Arts Council England.